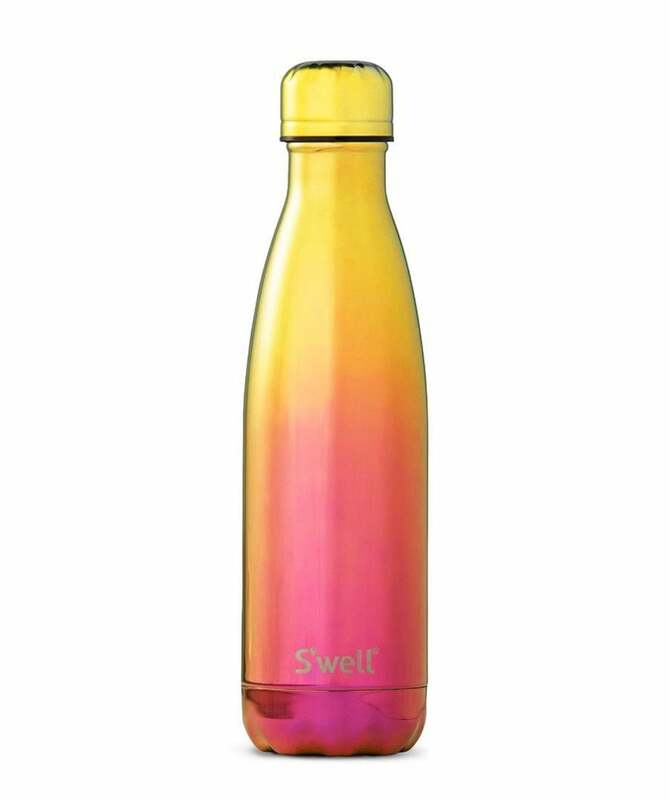 Keep hot drinks hot and cold drinks cold for longer with the S'well 17oz Infared water bottle. Part of the Spectrum Collection, this bottle features an iridescent yellow and red ombre design. Made from double walled stainless steel and boasting the brand's signature ThermaS'well technology, this bottle can keep drinks cold for twenty four hours or hot for twelve hours. The bottle also features a vacuum seal and screw top.